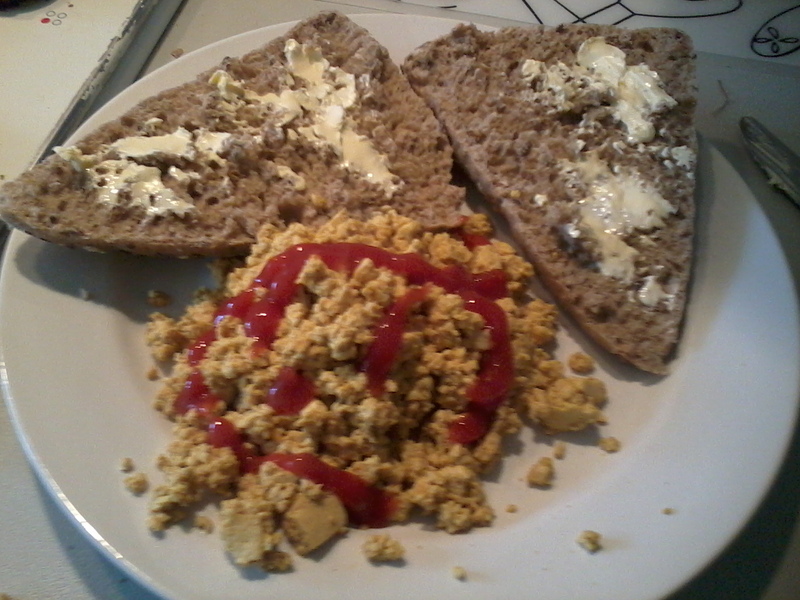 I like to make scrambled tofu as a replacement for scrambled eggs. There are many recipes online so it’s a case of finding what suits your own taste buds. I mash up the tofu with a fork then add turmeric, garlic or paprika and soya sauce. You can add peppers, mushrooms, spring onions whatever takes your fancy. Then you simply heat in a pan for about 3 -4 minutes. 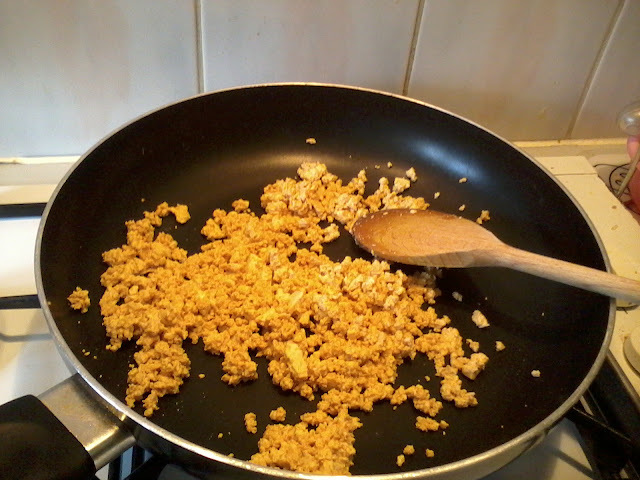 You just want to warm the tofu not fry it or turn it brown. I like to eat this as part of a fry up breakfast or simply with buttered toast or a granary roll with lashings of tomato ketchup. Sometimes I may add baked beans or use Vegemite on my toast instead of dairy free margarine. 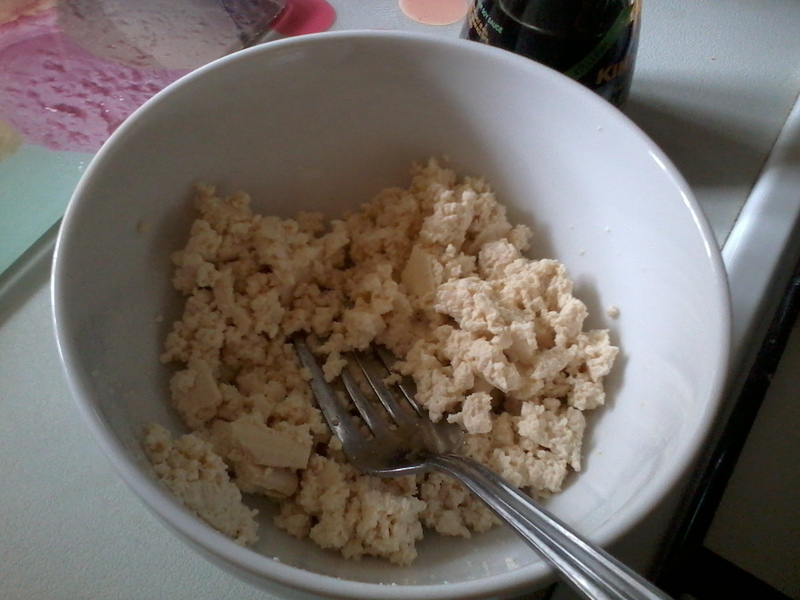 Does anyone else make scramble tofu? Do you have any recipes to share? I've never made a tofu scramble, but I love baking thinly cut tofu. I think it's really odd how a lot of meat substitutes have dairy ingredients - several of the Boca and Morningstar ones do.